Northern Energy Training is respected nationwide for its high quality short courses and Continuing Professional Development (CPD) programmes. Developed and delivered by our team of experienced practising assessors supported by educational professionals, you can be sure of a high quality, friendly training experience. Our unique CPD programmes are designed to ensure you continue to meet the recognised National Occupancy Standards (NOS) required to practise as an accredited energy assessor. They include updates for legislative and convention changes combined with tips for better practice. Northern Energy Training is the approved CPD partner for Sterling Accreditation but our courses are also recognised by all the other major accreditation schemes in the UK. Northern Energy Training's short courses help you extend your knowledge and skills into new areas. What's more, practising energy assessors can count them towards their annual CPD requirements. Many of our courses are supported by materials on our web training portal. In some areas, this includes access to discussion boards and the opportunity to discuss case studies with experienced professionals. If you can't find what you are looking for or want us to run bespoke CPD for your organisation please contact us. We provide one-to-one training days for assessors wanting to develop particular skills or master a particular aspect of energy assessing. Additionally, many companies use us to provide continuing professional development for their staff and assessors. Bespoke courses can target specific issues relevant to the work being undertaken and contracts held by the organisation. Northern Energy Training is fully approved by ABBE, the Awarding Body for The Built Environment, to offer a range of nationally recognised qualifications. As a leader in the field, we have Direct Claims Status for many of our programmes meaning successful candidates can obtain their qualification faster. All of our trainers for energy qualifications are experienced current practicing energy assessors. They are able to bring the energy assessment process to life with real examples from their work. Many of our trainers are also involved in the operation of accreditation schemes and approved organisation providing technical support and auditing services. Successful training also requires expert delivery and support. Here at Northern Energy Training all our trainers are supported by fully qualified education professionals. Between them, they have years of experience working in schools, colleges and higher education to bring you the best experience possible. Our unique APEL programmes are mapped to the recognised National Occupancy Standards (NOS) allowing you to develop your career in a new direction. APEL (Accreditation of Prior Experience and Learning) is a process that recognises the skills, knowledge and experience you already have. You don't need to complete a full new qualification. You can provide evidence that you already meet the required National Occupancy Standards through other means. Our programmes have been developed in partnership with Sterling Accreditation to enable experienced non-domestic energy assessors to take on new roles. We have also eliminated the need for large paper based evidence portfolios by moving to a web based electronic system on our new Web Training Portal. What's more, we've already done the evidence mapping for you. You will be asked to provide specific pieces of evidence then attend a face-to-face training course to fill in the gaps. During the course you will obtain the additional skills and knowledge you will need to practice in a new area. All our APEL programmes are recognised by Sterling Accreditation. Providing you meet the all the requirements and are in good professional standing, you will be able to join the appropriate National Register upon successful completion of the programme. In collaboration with Sterling Accreditation, this programme is for experienced non-domestic energy assessors to become accredited to provide Display Energy Certificates (DECs). Developed in response to the implementation of Section 63 Action Plans, this programme is primarily aimed at those wishing to practice in Scotland. Accordingly, it focuses on the legal requirements in Scotland which are different to those in England and Wales. DECs are now required by businesses wishing to defer their Section 63 Action Plan under the requirements of the Climate Change (Scotland) Act 2009 which took effect on 1st September 2016. Complete an application form and return it to Northern Energy Training. Confirm your course dates and submit your payment of fees. Once payment is received, you will be provided with access to the pre-course materials online so that you can begin to prepare your evidence portfolio. Complete the two day DEC APEL training. During this course you should complete your evidence portfolio. Your portfolio will be assessed and, once acceptable, passed to Sterling Accreditation for registration. Upon successful completion of this programme candidates will have demonstrated the competency standards required for admission to the National Register for the completion of Display Energy Certificates. Providing satisfactory professional standards are maintained they will gain approval through Sterling Accreditation. Our price includes 2 days training/assessment, the Sterling Accreditation APEL application fee, assessment and verification of your evidence portfolio with full professional support to guide you through the process. The ABBE Level 3 Diploma in Operational Ratings allows those wishing to produce Display Energy Certificates (DECs) and Advisory Reports (ARs) for public buildings to register with an Accreditation Scheme. 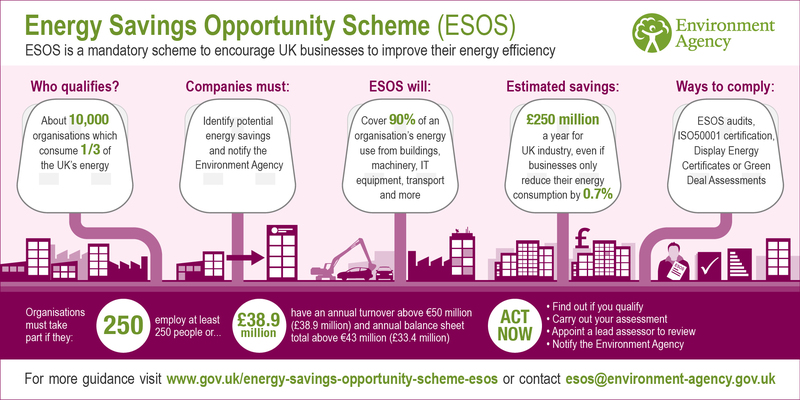 This will allow them to be accredited as Display Energy Certificate Assessors (DECAs). Buildings that require a DEC by law have a total floor area greater than 250m2, be occupied in whole or part by public authorities or by institutions providing a service to the public, and frequently visited by the public. These buildings need to display a current Display Energy Certfifcate (DEC) and have available a current Advisory Report (AR). Other buildings can have a DEC voluntarily and there are often significant benefits for the organisation of having these. 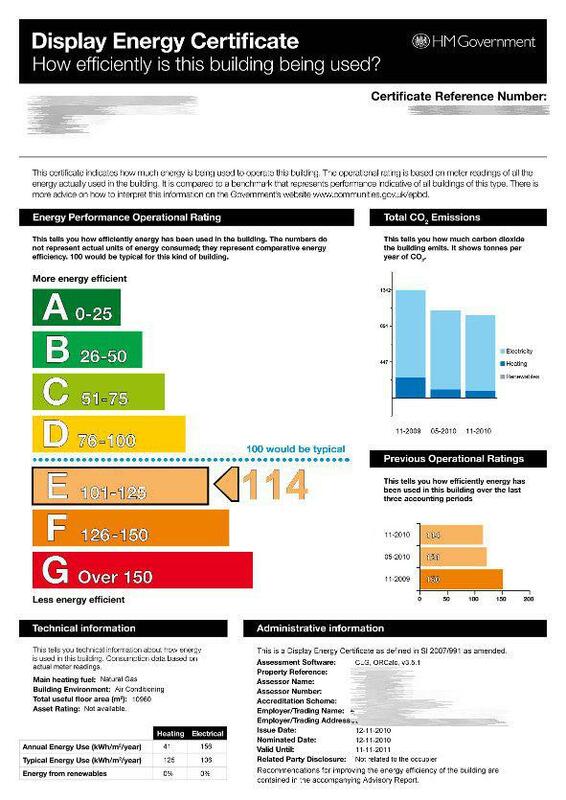 Unlike Energy Performance Certificates (EPCs), DECs and ARs are produced using an Operational Rating (OR) based on energy usage in the preceding year. The reflect the way energy is actually being used and the management processes in place to maintain energy efficiency by the organisation occupying the building. Here at Northern Energy Training, we also offer this qualification in combination with other non-domestic qualifications including those for Non-Domestic Energy Performance Certificates (EPCs) and Air Conditioning Energy Inspections. Please contact our team for further information. The Level 3 Diploma in Operational Ratings course includes full training in the operational ratings (OR) methodology and in the use of the government approved ORCalc software. This software is free to use (subject to licence conditions) and is used to produce Display Energy Certifcate (DECs) and Advisory Reports (AR) which can be lodged on the National Register. All candidates must also assemble a portfolio of evidence to demonstrate their competence in the role of DEC Assessor. This portfolio needs to include DECs for at least two real buildings in addition to the simulation provided during the course. Each candidate is assigned to an assessor to guide them through this process and evaluate their competence against the National Occupancy Standards (NOS). One day induction covering the legislative background, an introduction to the OR methodology and details of how to assemble the Portfolio of Evidence, along with ORCalc software training including the conventions of data collection and entry. One day training on construction of buildings and the services within them. This will enable DEC assessors to recognise the construction types and building services found in commercial buildings. Three to five weeks working remotely with the guidance of an assessor to assemble the portfolio of evidence. Final assessment of the portfolio. Upon successful completion of this programme candidates will have demonstrated their competency in meeting the requirements of the National Occupational Standards for producing Display Energy Certificates and Advisory Reports.